If you take a browse through our cheap offers to Antigua, it won’t be long before you realise this destination is all about the laidback, relaxing on a sunbed, beach style holiday. The beautiful 365 white sandy beaches on this idyllic island are picture perfect, so if you’re looking for tranquil getaway, look no further. So, with literally hundreds of gorgeous beaches to choose from, take a look at our cheap holidays to Antigua to get you there as quickly as possible! It is best to avoid a visit to the Eastern island of Antigua from July to November as these are the rainy months. Apart from this time, Antigua is one of the Carribean’s hottest islands and experiences a daily average of around eight to nine hours of beautiful sunshine. What type of holidaymaker does Antigua cater for? All! If you’re on a romantic break, the southwest coast of Antigua has endless stretches of secluded golden beaches, where you can simply enjoy your partner’s company. However, if you’re seeking a more vibrant holiday, take a trip to Dickenson’s bay, where the entertainment never ends. Or if you become slightly bored of lying in the sun for hours, spend the day discovering the breathtaking landscape of the island. You could take a hike into the hills of Shirley Heights, for some spectacular panoramic views. Or you could spend the afternoon sitting in a lovely Caribbean styled bar, where you can revel in the laidback atmosphere of the island and listen to the feel good Reggae bands whilst sipping a cocktail. Antigua is the perfect place for a family adventure. Young children may want to explore the Wadadli Animal Park and see the many animals there. Or perhaps for more of an adrenalin rush take a trip to ‘stingray city’, where you get the chance to snorkel with these creatures! You could even take a tour through the dense Antigua rainforest and feel like George of the Jungle as you take a zipline across a gorge. It can’t get much more exciting than that can it? There are so many lovely little restaurants in Antigua, especially around the Falmouth and English harbour. You’re literally spoilt for choice! Emerge yourself fully in the Caribbean spirit by enjoying their unique cuisine, which is a mixture of African, European and Chinese food. Try a delicious dish such as goat stew and see what you think! And don’t forget to have a taste of the acclaimed local rum to help your food go down. Book your perfect holiday to Antigua now! Why wait any longer? 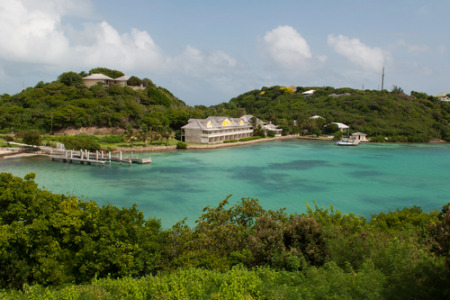 Have a browse through our low-cost offers to Antigua now and see what tempts you. One thing’s for sure, this exemplary island, with its crystal clear waters, sparkling coastline and soaring temperatures, will not disappoint!